I’ve just done some test on different RF433 receivers, from the classical really low cost system to some more expensive systems. The test environment was always the same : a dirty test board with lots of wire connections everywhere and an antenna made with a 17.3 cm wire. The conditions are poor but identical. Then I move around my house and activate my alarm detector one after one and check if the system received it. Some detector are same floor, 1 floor or 2 floors distance, some are behind walls, distance vary from 5 to 20 meters in house. The following results are the number of message received by the different receivers in this context. More you see, better it is. All the different receivers tested are all AM receivers. We have 8 sensors located in different area of my house (named A,B,C,D,E,F,G,H). For each I’ll give you the number of event received on the receiver. 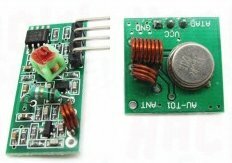 The first one tested is a really simple and low cost device you can found here for 3.76€ HT with emitter and receiver. The second receiver (B) I’ve test is a high cost receiver you can find here for the price of 12€. The third one (C) you can find here for the price of 7.2€ is actually a really good receiver operating at 5 Volts. According to this I definitely choose the last one for my design, I much I have seen there is a really high impact on the receiver choice in a 433Mhz design and even if the less expensive looks the worst, the most expensive is not the best. This entry was posted in Hardware and tagged arduino, hack, rf433. Bookmark the permalink. Hi. How to connect the last one (D) to the raspberry? The last one is a 3.3v receiver so you can directly connect it to the rpi gpio. – 3.3V Which PI PIN? – GND to PI ground? Which PIN? 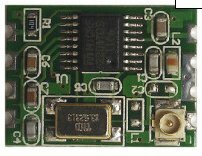 So, 3.3V, GND and DATA, which PI Pin I have to use? The main difference and to use 3.3V instead of 5V and you can remove the 10K and 15K resistor used for 5V to 3V adaptation. PD should be connected to Ground. Ever used an easyRadio ER400TRS-02 transceiver (or ER400RS) for that? I have a few at home and want to replace the bad low cost receivers. But not sure if they will work.